I remember playing with hand puppets when I was a child. My little brother, Peter, who had Down syndrome, had a special relationship with Ernie, his Sesame Street puppet. They were inseparable. Peter talked to Ernie all the time. They were the best of friends and in Peter’s mind Ernie was alive. I could get in trouble with Peter if I tried to speak for Ernie. After all, Ernie could speak for himself! These memories came back to me recently when I attended a Kids on the Block program at a local elementary school. Even though I could clearly see the puppeteer, I could also see and hear the puppet as a separate character, just like Ernie. 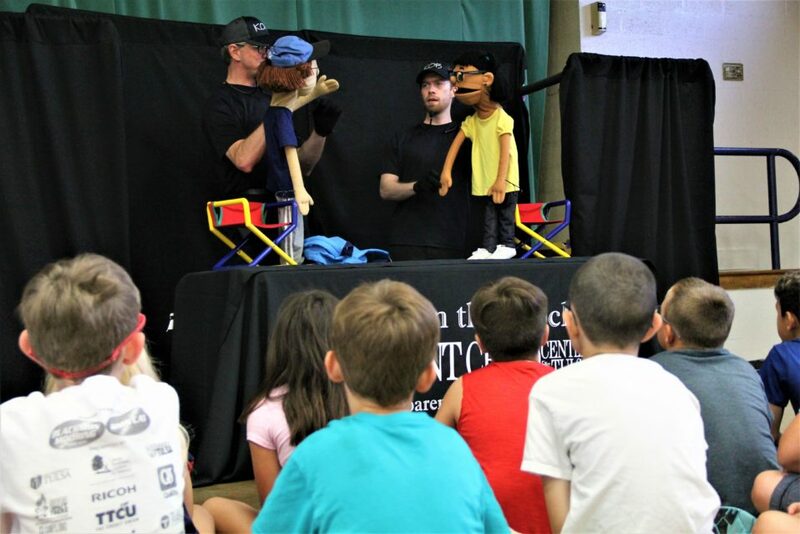 The two puppets in the show were speaking to each other about child abuse. These puppets are on a mission. They want all kids to be aware that child abuse is not OK and that it should be reported to a responsible adult. It was amazing to me to see the kids interacting with the puppets. They spoke to the puppets and asked them questions. I believe that children have the imagination to place themselves into the lives of the puppets and see themselves in similar situations. The children also have the opportunity to write a letter to the puppets after the show and share anything that may be on their minds. Several cases of child abuse and neglect have surfaced as a direct result of these interactions. 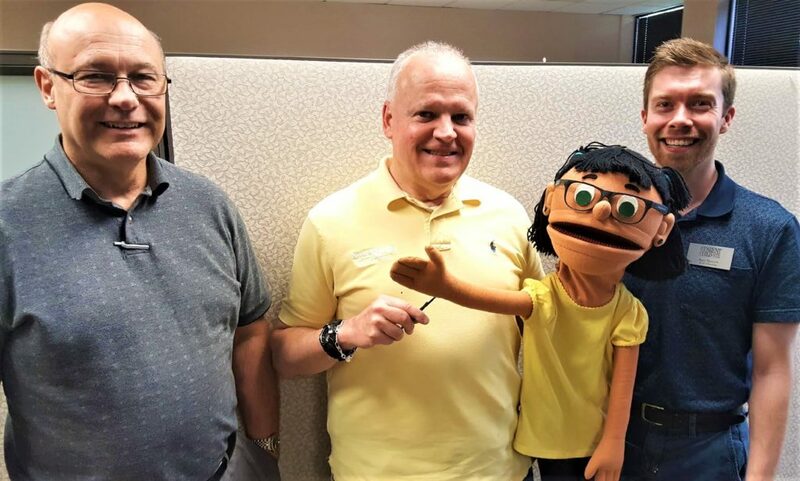 The two KOB professional educators (puppet masters) I met were Troy Johnston and Kurt Bennett. Both men have a heart for helping children cope with some of the serious issues that are a part of growing up in today’s environment. Troy and Kurt have a natural ability to relate to the kids. The puppets become an extension of Troy and Kurt and the children respond. Troy has since moved on from The Parent Child Center of Tulsa, and Kurt was just promoted into the position of KOB Coordinator. Kurt coordinates a team of three at present. Trish Gosnell and Kirk McAnany are part time KOB Educators. 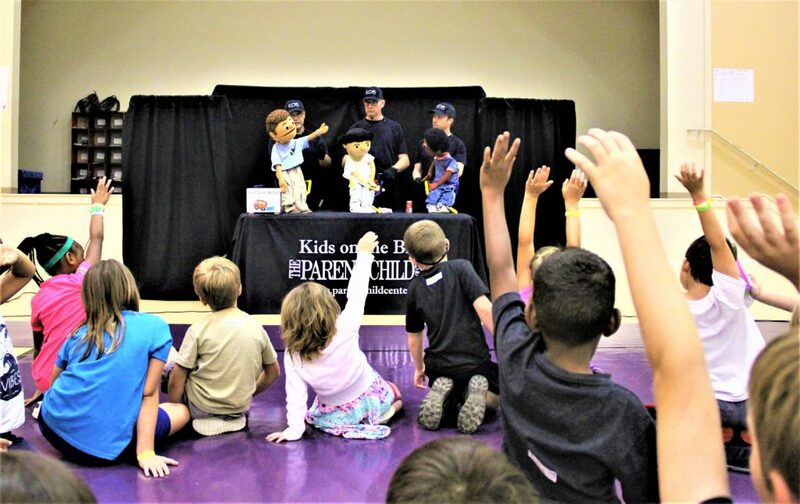 These KOB educators are specially trained to provide age-appropriate puppet programs at selected grade levels. In addition to presenting in schools, our educators travel to a variety of other community locations. All Kids on the Block programs are offered FREE OF CHARGE. In 2018, our Kids on the Block educators reached almost 40,000 children through partnerships with over 59 community schools and organizations. The community partners include Tulsa Public Schools, Broken Arrow Public Schools, Jenks Public Schools, Bixby Public Schools, Owasso Public Schools, many private schools, Tulsa City/County Library, Tulsa City Parks Department, the YMCA, and many other organizations in Tulsa County. The mission of The Parent Child Center of Tulsa is to prevent child abuse and neglect through education, treatment, and advocacy. The Kids on the Block program provides a pathway to hope for kids experiencing difficult and sometimes dangerous situations. It empowers them to identify issues, and reach out to a trusted adult for help. Organizations and schools can schedule a program by calling Kurt Bennett at 918-699-0513, or fill out the online schedule request form.